Publisher Synopsis: Monday Charles is missing, and only Claudia seems to notice. Claudia and Monday have always been inseparable—more sisters than friends. So when Monday doesn’t turn up for the first day of school, Claudia’s worried. Since I have a 10-year-old, I read a lot of children’s books and now, young adult books. The quest to find age appropriate and subject matter appropriate titles is more arduous than I ever imagined, so I basically cop beaucoup books and hope for the best. 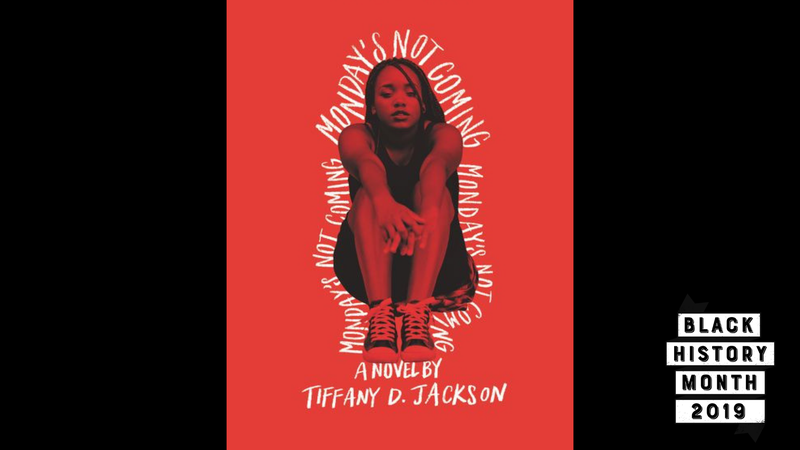 I follow Tiffany on social media (she’s also the homie) and read another book she wrote (I believe under a pseudonym; oh, ye olde writers), so when I saw that she’d recently released a new book, Monday’s Not Coming, I decided to go pick it up in stores. I was about to hop on a plane and that’s my favorite place to read since that time is largely uninterrupted. The book is 448 pages. I read the whole thing in two days worth of plane rides between Washington, DC, and Detroit, Mich. It was a page turner like a mug. But what stood out to me, and why I think it resonated, is because she used Washington, DC, and southeast DC, in particular as the setting. Since I live in southeast DC I could literally visualize the scenes happen as I was reading. Sure, the names of some landmarks and housing developments were changed (it is fiction, after all) but the story also mirrored in many ways a story that happened in DC some years prior. I could see the kids from the story on the streets that were mentioned, riding bikes or listening to go-go. It felt like home. And once it all comes together (and once you get used to the non-chronological way the story is being told) and you realize what’s happened to Monday and Claudia, well, I was emotionally affected by it for a few reasons. And while I’m looking for books for my 10-year-old, it’s a young adult novel and definitely not a book for her yet. But when she’s ready, I look forward to having the conversations the book would create. As a coup de grace, once I finished the book and after having read another book that got some significant national acclaim (including a movie), I hit Tiffany up to tell her that I thought her book was as good, if not better and would make for an awesome look on the big screen. Monday’s Not Coming is a black story about growing up that I think is absolutely worthy of reading.